To dig a bit deeper into what makes Private Tours special, we spoke with one of our most experienced Group Coordinators. Bernie has led more than 80 tours all over the globe with Education First, so we knew he’d have the answer. Read on to see our full interview with this long-time world traveler. Tell us a little bit about yourself! How many tours have you taken with Go Ahead? Do you have a favorite tour? I have led over 15 tours with Go Ahead. I’m always traveling! I’ve also led 67 tours through other parts of EF. Australia & New Zealand is one of my favorite Go Ahead tours…and, well, anywhere in Europe is hard to beat. Think back to your first Private Tour with Go Ahead. What made you decide to go private? After so many times traveling together, I realized that my travelers and I had formed what was like a little family, so it just made sense to organize a tour with just us. I have many repeat travelers who also invite new members to join our group. Our travel family just keeps growing! What advice would you give to someone planning their first Private Tour? I would tell them to recruit people that they know love to travel. It might take time initially, but the effort and time spent starting a Private Tour will be a good springboard for future tours. Once travelers are on tour with you and are in the company of happy, positive travelers, they will want to do another tour together the following year. I find there are always new people that join who are friends, acquaintances or relatives of the original group, so once you get the ball rolling it’s not so hard to grow your group. It’s also helpful to advertise in local newspapers! You never know who is looking for an adventure. What do you consider to be the key benefits of traveling on a Private Tour? 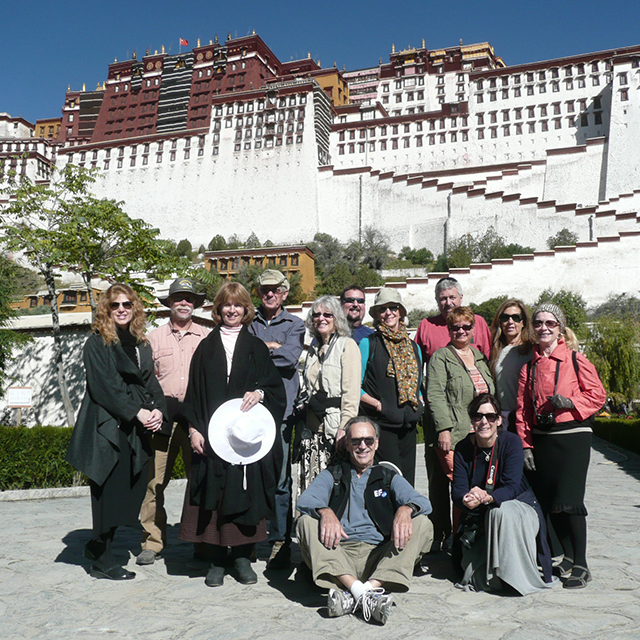 When you travel with an exclusive group, it’s much easier to tailor your trip to your travelers’ interests. You can also choose the right pace for your travelers, or add special inclusions or excursions that you know your travelers will love. Getting to share these experiences with people who are excited to see the world makes the trip that much more special. You’ll create a travel community. What kinds of special excursions or meals have you included as part of your tours? What made them memorable? I always add a special musical evening at a restaurant near Florence, in the hills of Tuscany. Besides a delicious meal with unlimited food and wine, singers playing violins entertain my travelers with beautiful songs from Southern Italy. I also add a special musical evening at a restaurant in Rome, where we indulge in an equally sumptuous banquet listening to a professional operatic performance. I know what my travelers will find worthwhile because, after traveling together on so many Private Tours, I know what they like! I always include these add-ons as part of my itinerary and everyone joins. When you’re not traveling together, do you and your group members keep in touch? Yes, we keep in touch over food! In fact, my breakfast club just got together this morning for a meal. Sometimes we go out to dinner at a nice restaurant. Why would you recommend organizing a Private Tour to other Group Coordinators? Private Tours are perfect for anyone who is interested in seeing the world and sharing their interests with positive, excited travelers. When you take a Private Tour, whether you’re traveling with friends and family or new travelers, you really feel like you can tailor the trip to make it special for everyone. All of your travelers will be really engaged and excited about the tour. A private departure is the perfect way to share the world, share your interests with other people and give your travelers a personalized experience. Interested in making your next tour a private departure? Call us at 1.800.438.7672 or email us at social@goaheadtours.com.